The Aggrozouk, previously known as the Bicitractor, is a light pedal-powered tool carrier. Light tools are hitched onto the underside of the frame through an electrically powered assistance system.  Initially developed by Farming Soul, the collective then worked in partnership with Atelier Paysan to validate the tool, and create an open source design for dissemination. A previous version of the tool was already presented at Tech&Bio 2015 fair. 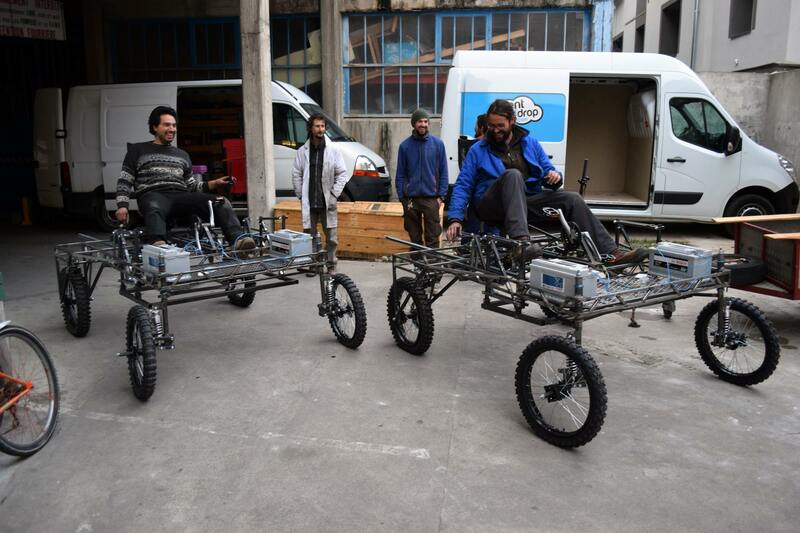 It consists of a tool carrying frame, mounted on suspension wheels and adjustable in height. The user pedals in a reclining position and controls the direction with a handle on his/her right. Two batteries power the electrical assistance system (12 volt, 100 ah). Following the first prototyping workshop with a group of vegetable growers, we still need to make the fastening clamps to attach the tools to the frame. These can be spring tynes, comb weeders, ridging disks, finger weeders, cage rollers, etc. Tests carried out on farms will help us to select the tools best adapted to the Aggrozouk. The final cost of the tool is around 2500€ (excluding VAT), a large part of this going towards the bicycle and electrical parts (engine, controls, batteries). You are free to make use of these to build yourself an Aggrozouk, but the current design is still at its prototype phase and has not yet been validated. You are more than welcome to join the group working on the development of this tool! Warning! The tool needs to be tested before its design is validated! An initial workshop took place in February 2016. Join us to take part in this collective adventure!